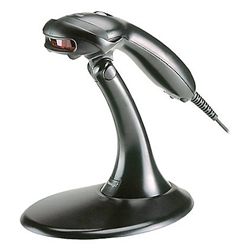 VoyagerCG MS9540 is auto-trigger, single-line laser Bar Code Reader designed for decoding all standard 1D bar codes, including RSS codes. Its sleek, futuristic design certainly catch your attention. But looks get you only so far, its performance and value that really count. It is here that VoyagerCG excels and sets new industry standards. It features the CodeGate data transmission technology.